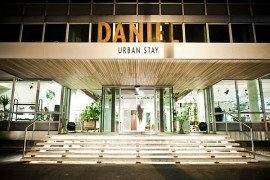 Portrait of Daniel Libeskind. 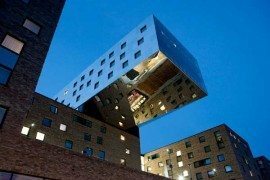 Photograph by Michael Klinkhamer via Dezeen. 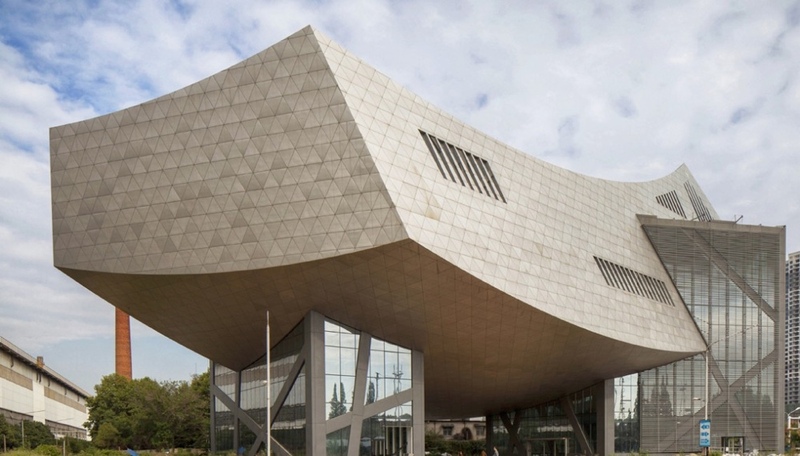 The Zhang Zhidong and Modern Industrial Museum. 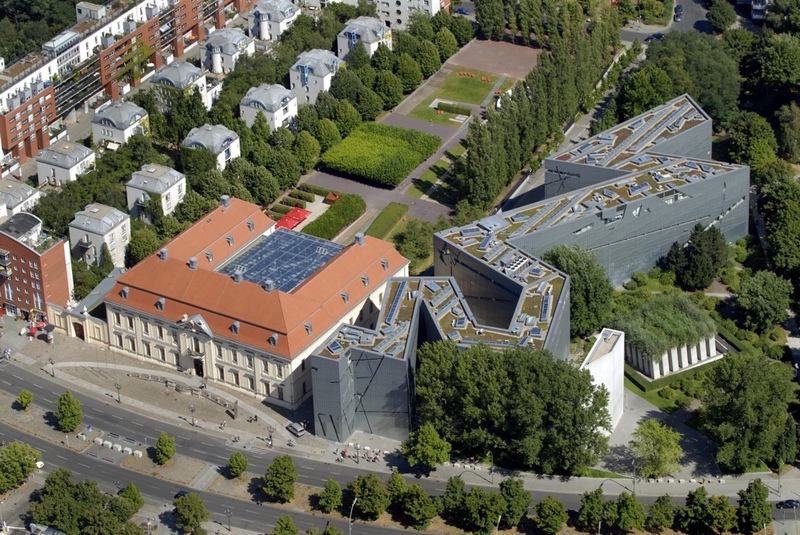 In 1989, Libeskind won an international competition to build the Jewish Museum in Berlin: his first significant international success, it remains a notable career highlight. 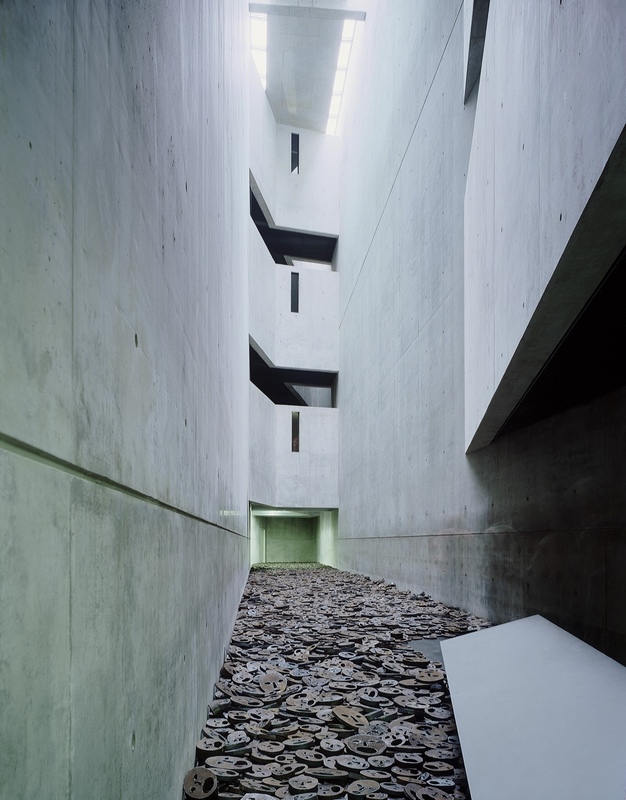 Presenting a groundbreaking and formidable design for the Jewish Museum, Libeskind moved his family to Berlin where he would devote in excess of a decade to the project’s completion. 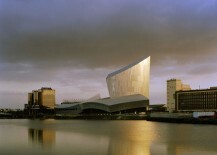 Further significant museum commissions ensued from this work, including the Imperial War Museum North in Manchester, England, and the Zhang Zhidong and Modern Industrial Museum in Wuhan, China. Jewish Museum Berlin. Image © Guenter Schneider. 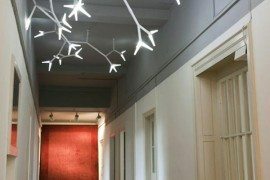 Jewish Museum Berlin. Image © Michele Nastasi. Jewish Museum Berlin. 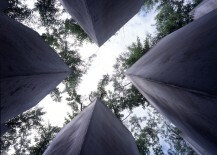 Image © Torsten Seidel. 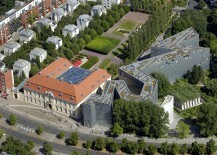 The Jewish Museum Berlin opened to the public in 2001. 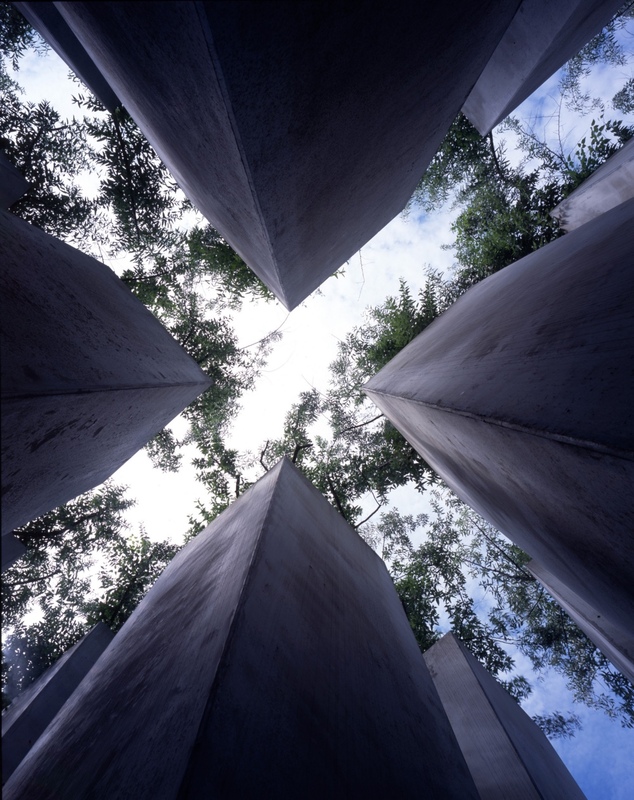 Exhibiting the social, political and cultural history of the Jews in Germany, it unequivocally presents and integrates the impact of the Holocaust. 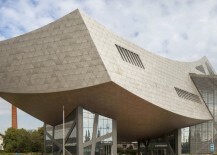 Libeskind established his eponymously-named studio – Studio Libeskind – along with his partner Nina Libeskind, in Berlin in 1989. 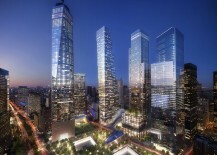 The studio’s HQ moved to New York in 2003 when Libeskind was chosen as the master planner for the World Trade Centre site. 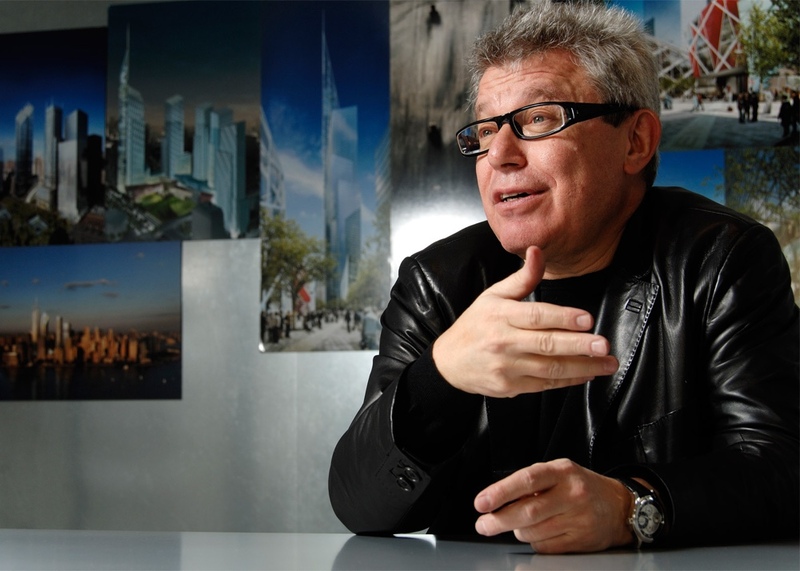 In 2012, Libeskind opened a further studio in Milan that also includes a product design division called Libeskind Design. 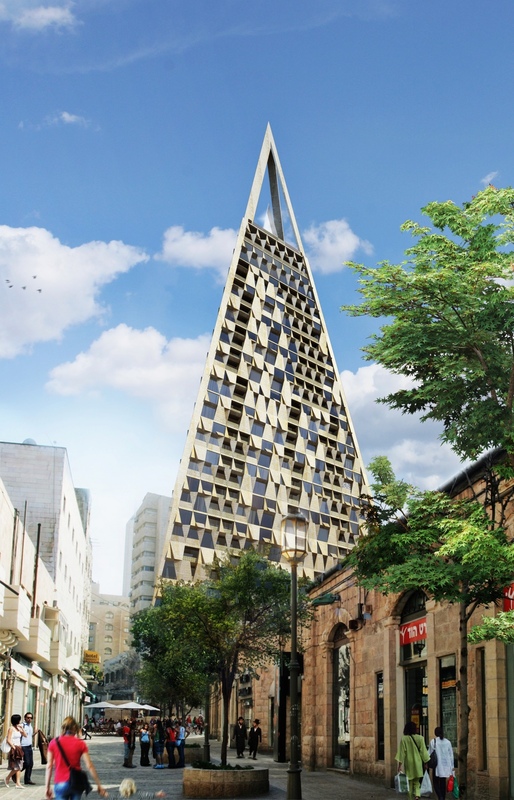 Studio Libeskind works on the design and development of urban, cultural and commercial projects worldwide. 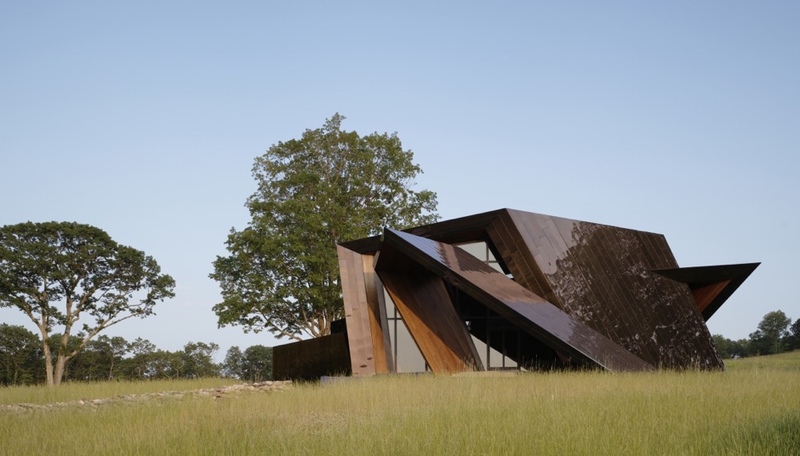 Libeskind believes strongly that optimism is an important quality in an architect, where the architect should have confidence in the future, remember the past and have a keen sense of hope. 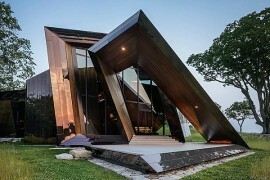 Studio Libeskind operates firmly on this premise. 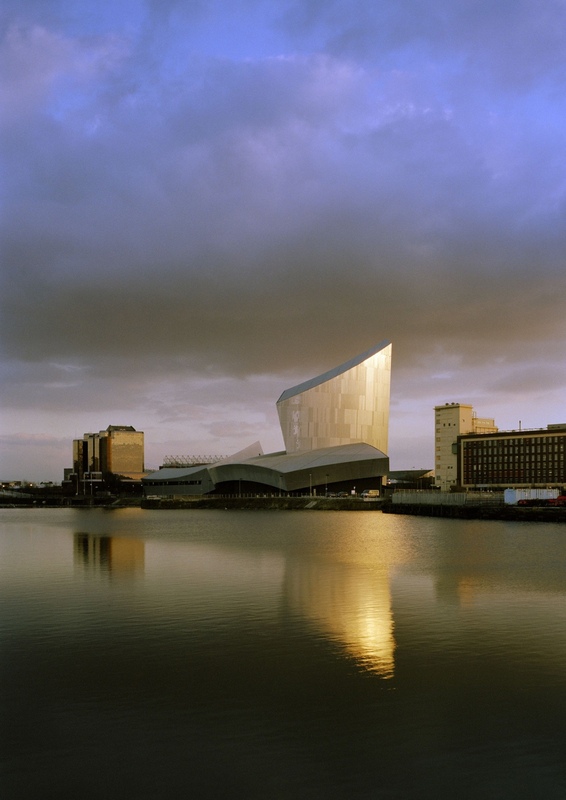 Imperial War Museum North in Manchester, England. 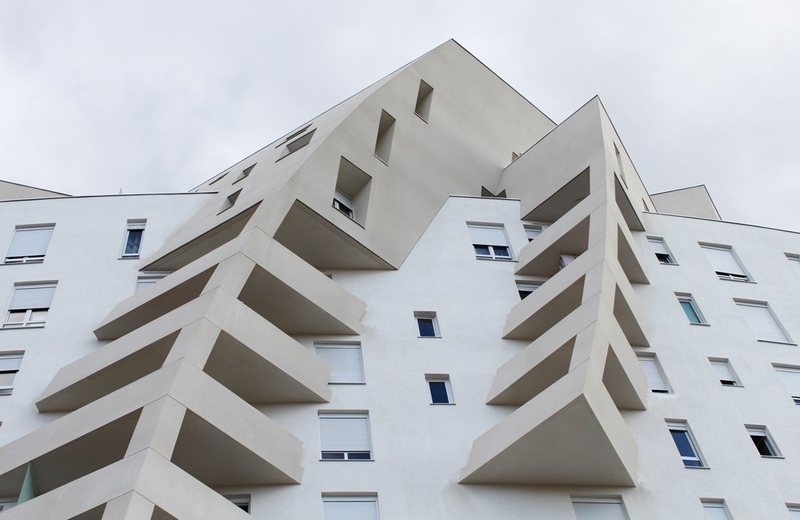 Image © Libeskind. 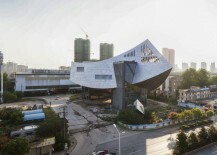 The Zhang Zhidong and Modern Industrial Museum in Wuhan, China is under construction. Wuhan is the steelmaking capital of eastern China. Zhang Zhidong was a 19th century Chinese politician who inspired the movement towards modernisation that would establish Wuhan’s steel industry. Images © Alex Chan. 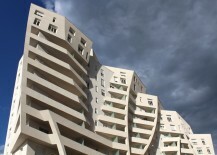 Magnet housing development in Tirana, the capital of Albania. Image © Kontakt. 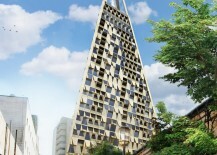 Libeskind is an opponent of so-called cool architecture, where buildings have little personality and no story to tell. 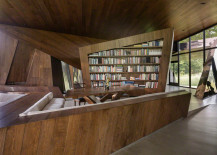 He believes that emotion is requisite, that architecture is indeed visceral, not intellectual. It is about space, not fashion. 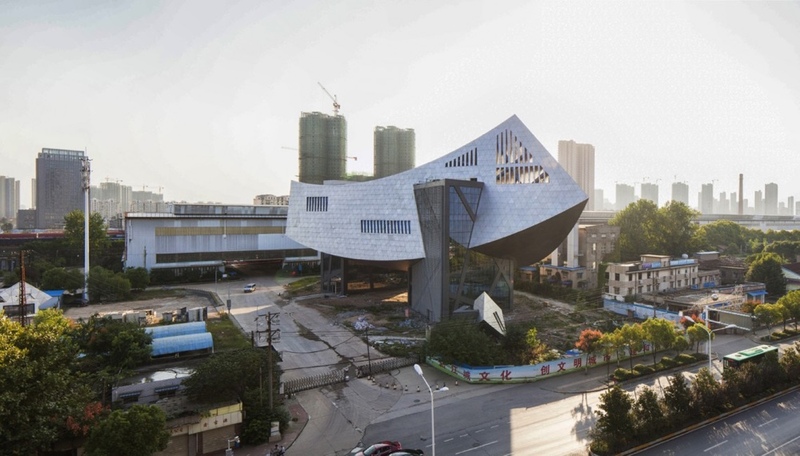 In Libeskind’s worldview, architecture should have the ability to tell a story and the power to move a person’s soul. 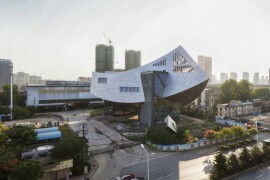 With commemorative architecture, Libeskind believes it must reflect the brutality of an atrocity rather than repress it. 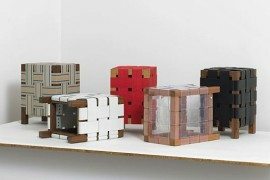 He has proclaimed: “Architecture is a field of repression [where] everything is repressed because it has to fit into the context, it has to appeal to clients, it has to be normal.” (“Architecture should not be comforting,” 2015). 18.36.54 is a private residence in Connecticut, USA that is clad in mirror-finish and bronzed stainless steel. 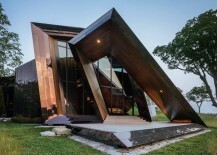 It is a bold design in a natural setting with a rather odd name. 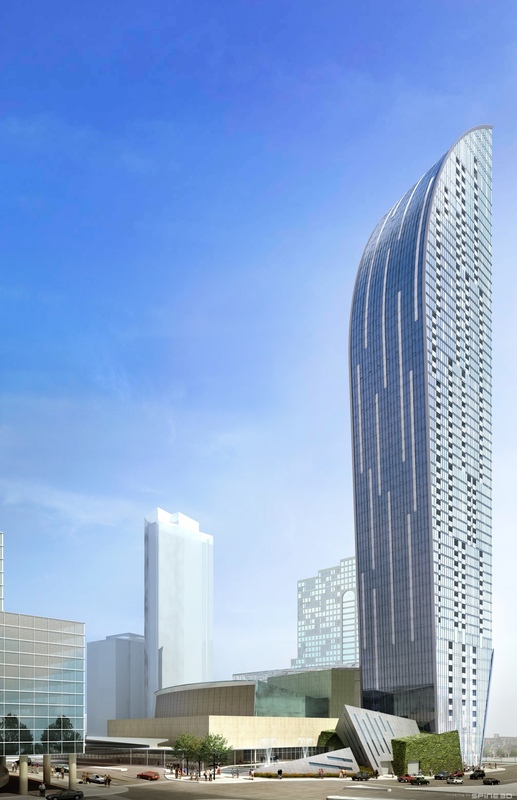 The name equates to the “number of the planes (18), points (36), and lines (54) that the spiraling ribbon makes as it defines the living space”. Images © Nikolas Koenig. 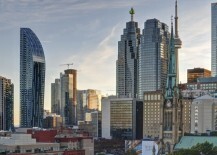 The L Tower and Sony Centre in Toronto: a 58-floor condominium tower adjacent to the performing arts centre. 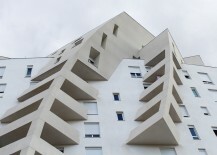 Images © Libeskind. 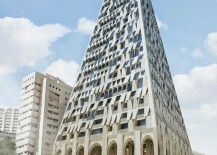 The Pyramid. Image © Vingtsix. 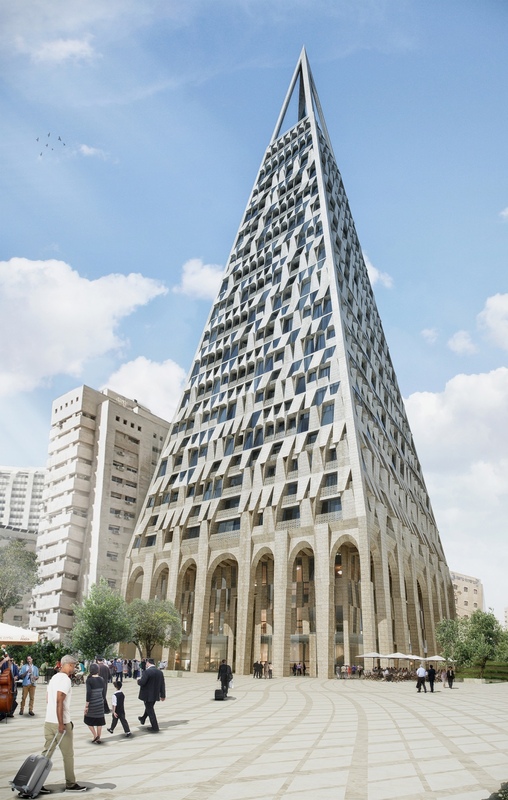 The Pyramid. 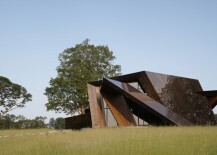 Image © Libeskind. 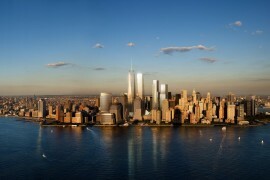 In September 2002, Libeskind entered a competition to design a master plan for the World Trade Centre site. 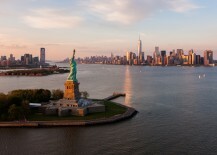 He won with a proposal that included a rendering of the one-time named “Freedom Tower” (now known as 1 World Trade Centre), alongside a memorial plaza and underground museum. 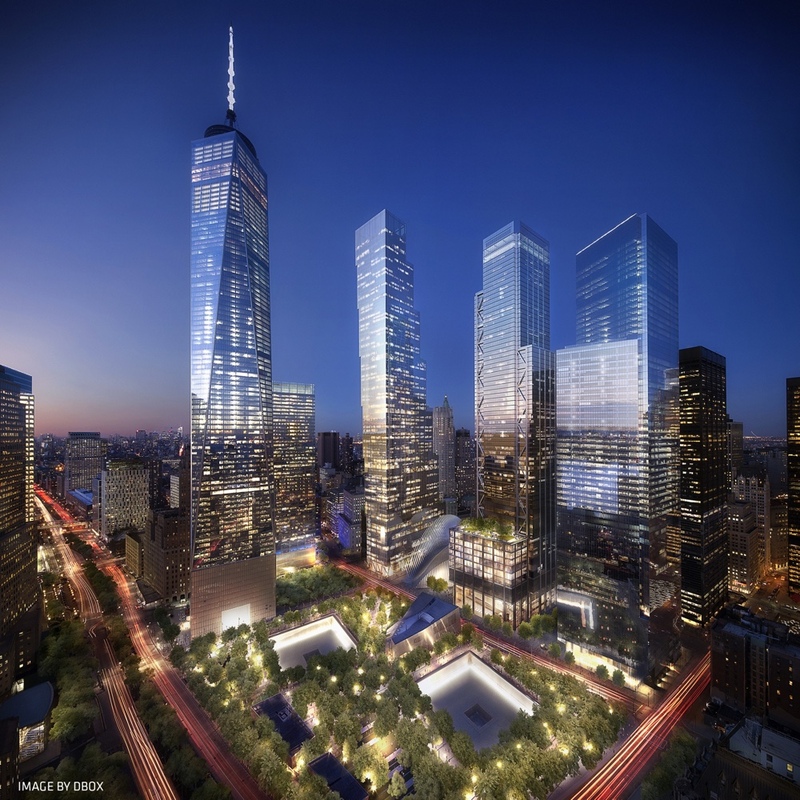 Various political and commercial wrangling conspired to ensure Libeskind’s original tower was not built; indeed, despite the competition win, he was not the appointed architect for the World Trade Centre site. 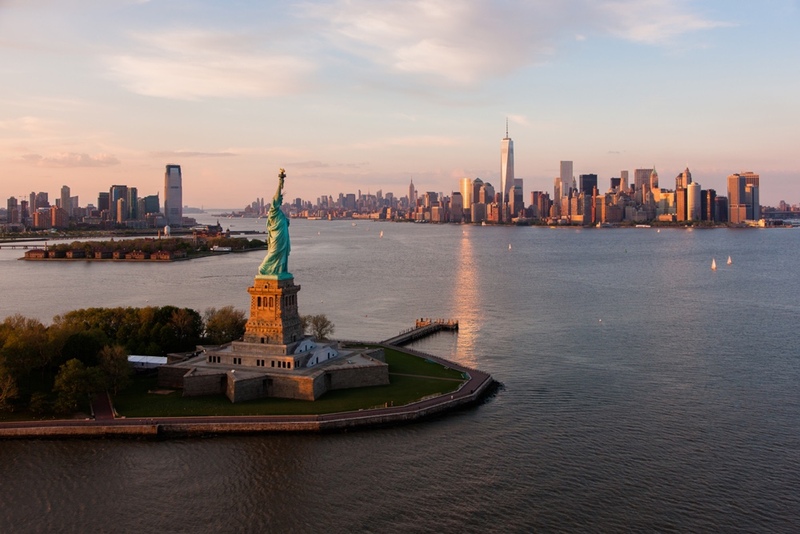 The only remaining feature of Libeskind’s tower design is its symbolic height – 1776 feet (the year in which the Declaration of Independence was approved). For a detailed review of this debacle, check out The New Yorker. 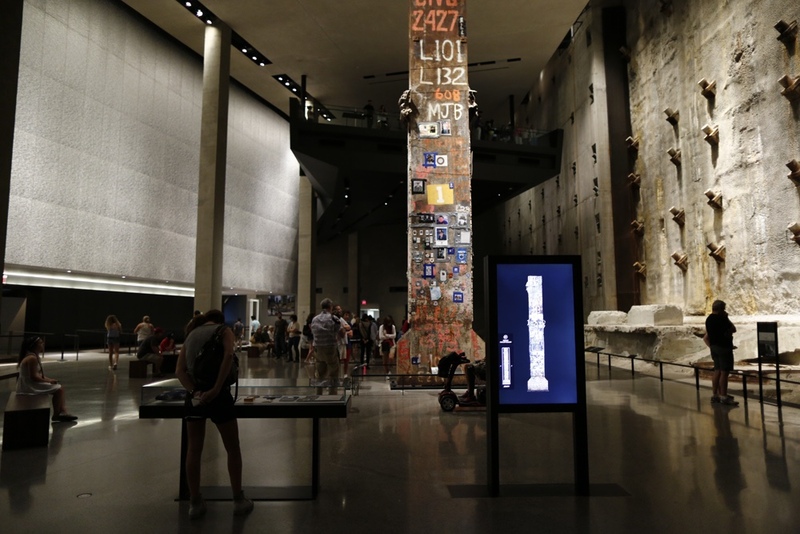 9/11 Memorial Museum. Image © Jin Lee. 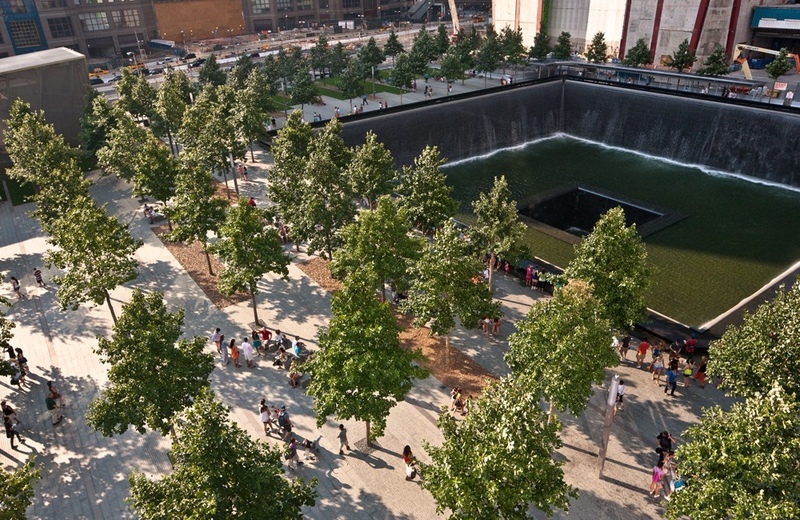 9/11 Memorial Plaza. Image © Joe Woolhead. 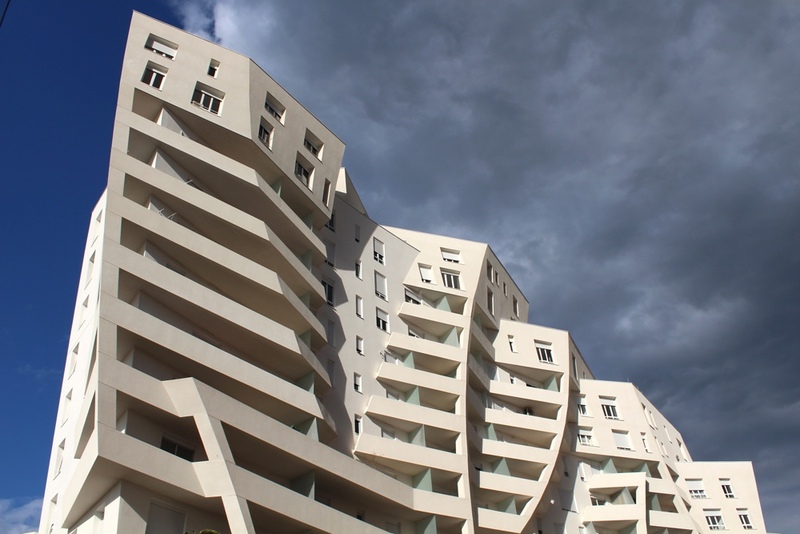 Rather poignantly and with deep affection, Libeskind believes in the wonder of architecture. 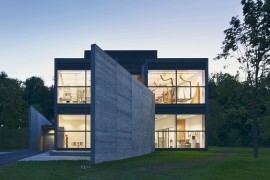 He observes: “Architecture is not based on concrete and steel and the elements of the soil. It’s based on wonder. 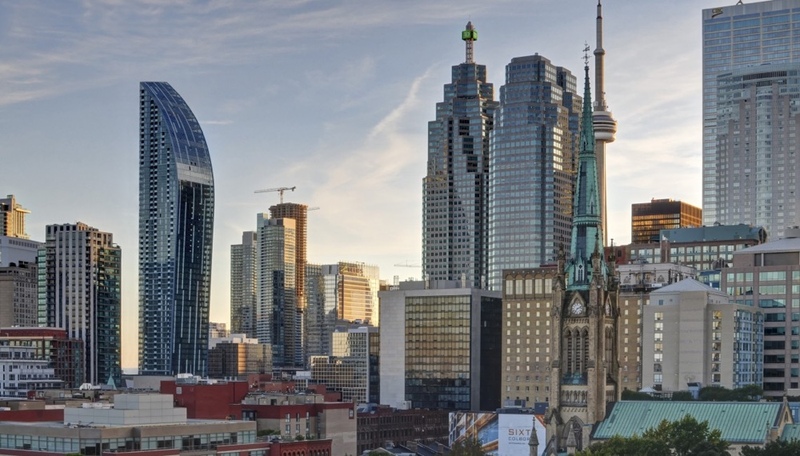 And that wonder is really what has created the greatest cities, the greatest spaces that we have had.” (Libeskind, 2009) It is undoubtedly a beautiful sentiment. 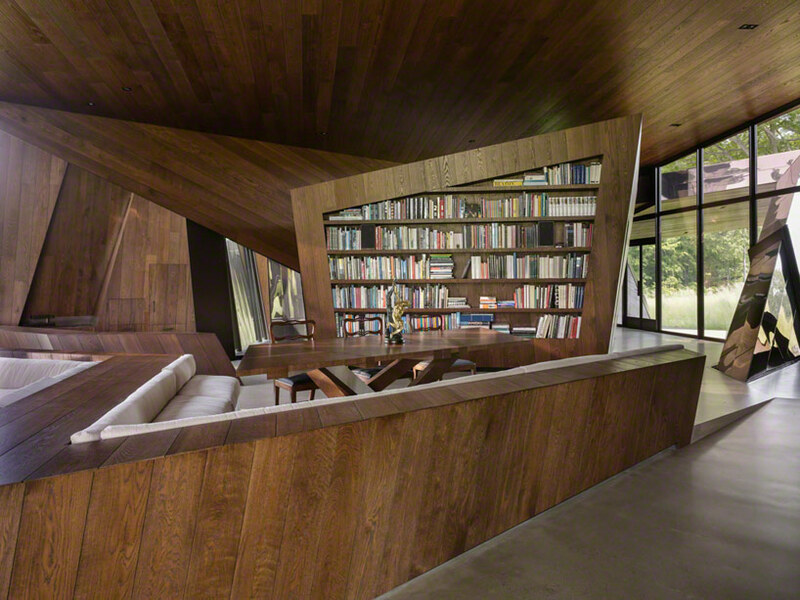 All images via Studio Libeskind (except the portrait of Daniel Libeskind).